> Real Synthetic Audio is the most listened to Industrial net-radio show. > RSA for April 8th is now online! Another great week of great new music for everyone as I gear up to my first vacation of the year. I'll actually be gone for 2 weekends at the end of May, but with the advent of truly mobile computer equipment I'll be able to get a show out for everyone. But I am going to take a week off because I need a break anyhow. This weeks show includes tracks from Aiboforcen, Vanguard, State Of The Union, Sonorus7, Marsheaux, Vision Talk, Mr. Kitty and Apoptygma Berzerk. Enjoy the show! 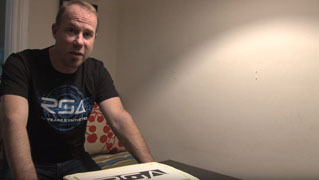 So a little over a year ago I was approached by this guy who wanted to do a documentary about me & RSA. I figured nothing would come of it, but you never know. 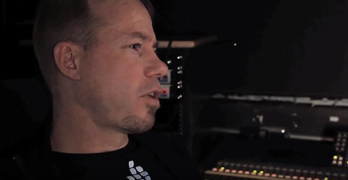 Unlike a lot of things that have never actually happened in the last 20 years, I can now say there's a video chronicling how my radio show came about and what goes into making it. Kevin McMillan worked hard on it, I hope you enjoy it! > 2019 Friends of RSA! The following people have joined the elite group known as the friends of RSA for 2019! Robert Ganz, Michelle Crawford-Bewley, Maksim Bogatyrev, Sean Patrick Waters, Mark Matson, Martin Osterhoff, Michelle Moller, Jeffrey Kaplan, Peter Anthamatten, James Groves, Michael Moats, Magne Lilleberg, Jonathan Cameron, Ryan Reynolds, John King, Wendy Procter, Scott Noble, Steffen Roßhirt, Rikard Karlsson, Alexander Martinelle, Jarno Elovirta, Nathalie Mahieu, Nigel Stapley, Raymond Thietart, Terry Lung, Walter Scheirer, Tony Colter, Chris Applegate, Blair Hoplight, Heikki Ritola, James Moreland, Clarissa Cook, Johannes Schroeder, Matthew Zofchak, Pablo Medrano, Brad Cunningham, Dale Fisher, Jeremiah Proffitt, Mark Yeddeau, David McBride, Galen Loram, Janek Kalda, Ryan Zastrow, Francois Denommee, Tracey Mikkanen, Nick Boldt, Matthew Vaughan, Nicola Astles, Adrian Onsen, Steven Weidner, Shawn Lauriat, Matthew Bell, Henning Hoefer, Dustin Barbour, John Gray, Kevin McMillan, Shazia Mazhar, Michael Moyle, Markus Gerstner, Thomas Wiesseckel, Alexandre Place, Paul Vargis, Bruce Hearns, Andreas Schoenauer, Leslie Harris, Michael Virks, Llewelyn Thomas, Howard Eberhart, Ian Greenaway, Stan Nikipierowicz, Robert Haasch, Eric Hansel, Gabrielle Cyr, Nicholas Geovanis, Ryann Callaghan, Jeremy Bailin, John Shippee, Corbit Stallings, Alex Hewson, Alan McMaster, Kristofor Clark, Thomas Rathsfeld, David Stavegård, Alan Drehmel, Jay White, Shawn Wright, Sarah Buckbee, Krys O'Dell, Chrissy Bauman, Arica Rust, Richard Valler, John LeSanche, Ted Badiuk, Jennifer Doering, Avril E Jean, Sebastien Huot, Stephen Bell, Mikael Enkvist, Martin Oellermann, Oliver Huber, Jesse Rodriguez, Michael Ridenour, James Morton, Andrew Arensburger, Felix Arndt, Manuel Huber, Ben Bulcock, Michael Frank, Erik Azar, Don Maynard, Jackie Walker, Matthew Wolf. In January of 1998 I sat down with a dilemma. I was a club DJ who had a lot of great music to play, but couldn't experiment *too much* in the club. For some reason I wanted to be a radio DJ, and breaking in to the college radio clique wasn't going to happen. So I experimented with creating a "radio show" within my computer and set up a web site to stream it. On Jan 31 1998 the first episode of RSA went online. I had no idea that I'd be still doing it 20 years later. To celebrate this, I present to you a short video that will hopefully entertain you and convey how I feel today. Thank you for your support! 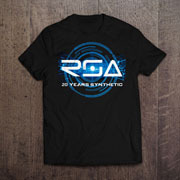 > RSA 20th Anniversary T-Shirts Sale! The 20th anniversary T-Shirts are officially sold out! The only way to get one now is to donate to the membership drive and hope you win one as a prize! Thanks to everyone for their support! I've updated the method that we do podcasting here at RSA. Now you can get each weeks show automatically downloaded to your PC or MP3 player by subscribing to the RSS feed. Simply subscribe through iTunes or Juice and each week the show will be fed to you as soon as it's available. Also, there is now an RSA Facebook group for you all to join and a Twitter account to follow! > Real Synthetic Audio Winamp Skins! Michael Ridenour has made up the very first RSA themed Winamp skin! Download your copy by heading over to the goodies page! We're always looking for new submissions for all the categories there. Skins, Desktops, and banners!